Facebook has honoured its vow to delete all data from its massively unpopular facial recognition experiment in the EU, regulators have confirmed. 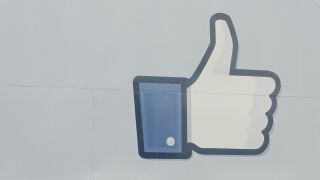 Data protection bodies in Germany and Ireland have studied Facebook's source code and are happy that the social network has deleted any information it may have gleaned while the feature was live. The tech, which guessed who appeared in photos so users could tag their friends more easily, caused a privacy storm in Europe and Facebook soon agreed to remove it from the site. In September of last year, Facebook said all data would be purged and it appears that the company, which has its UK base in Dublin, has been true to its vow. Ciara O'Sullivan, spokeswoman for the Office of the Irish Data Protection Commissioner said: "We recently reviewed the source code and execution process used in the deletion process and can confirm that we were satisfied with the processes used by Facebook to delete the templates in line with its commitment." Ulrich Kühn of the Hamburg Commissioner for Data Protection and Freedom of Information, who's name sounds like Metallica's drummer joined The Starship Enterprise, also confirmed Facebook is on the level. He said: "We wanted to be very sure this was done, so we took our time to be really sure." Despite Facebook abandoning the feature in the EU, the row is still rumbling on in the United States. Facebook briefly suspended the feature late last year, only to reinstate it last week. Surely this has to be Obama's fault?